I choose a snare drum depending on its sound qualities. That's my top priority. Next are design and manufacturing qualities. 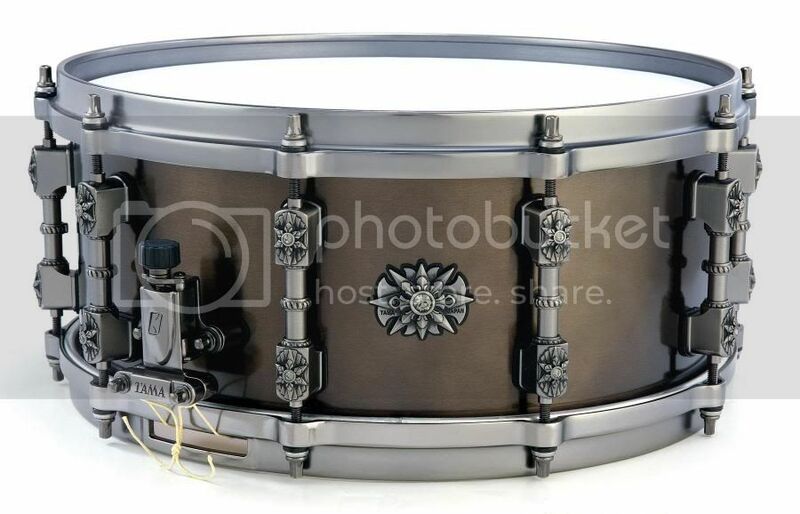 When I was shopping for my first high-end snare drum 3 years ago overseas, I could have gotten a signature model or a pretty non-signature drum. There were a bunch of signature models available then - Pearl Dennis Chambers model, Tama Simon Phillips model, etc. But I chose a 5.5x14" Tama Starclassic Maple snare drum because of its versatile sound and overall quality. I can use this drum in most musical settings, and it never let me down. And it doesn't cost as much as signature models. Not a bad start. Now that I have a versatile snare drum, my future snare drums would be something that would sound different or would work in a specific musical situation. Right now I wish to have a small 10" snare drum, an all-around metal snare drum, and a piccolo. Sana makaipon tayo. 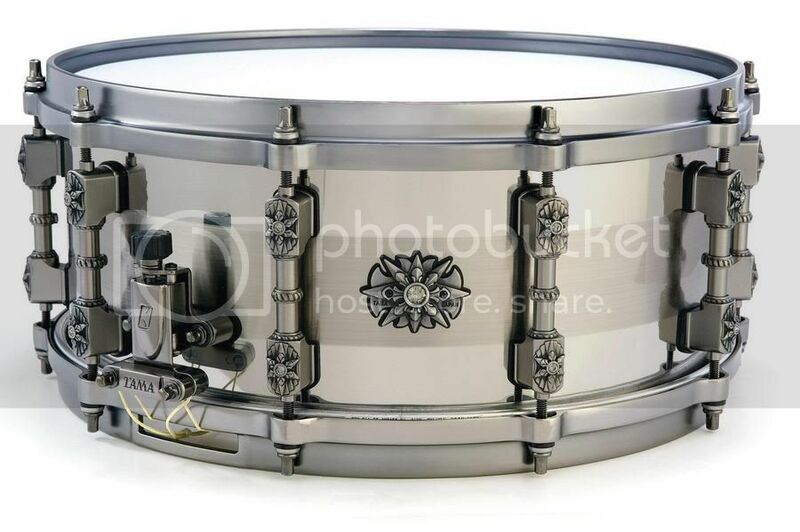 If I have the money and I want the ultimate snare drum, I would buy a Brady snare drum. It's my dream snare drum. For me, it's both a signature and a non-signature snare drum. They don't have any snare drum which bears the name of a drummer, but each snare drum that they produce is a work of art, handcrafted by artisans. Chris Brady himself supervises the development of these quality instruments. Their drums are so well-crafted and the wood used is topnotch. If you're curious about Brady drums, check out http://www.bradydrums.com.au/ . When I already have enough snare drums and I want to expand my collection, I could augment my snare drum arsenal with some signature models and some rare models, for collectibility and valuable reasons. Ang gastos ng trip na ito. Pero masaya hehe! i love this thread! hehehe..
kung ako tatanungin, i would choose a snare that came with the kit, pero if you want a different sound, choose a signature snare. how out... pork pie snares? astig din yun ah! Onga fredzs! Dunnett snare drums are nice too. 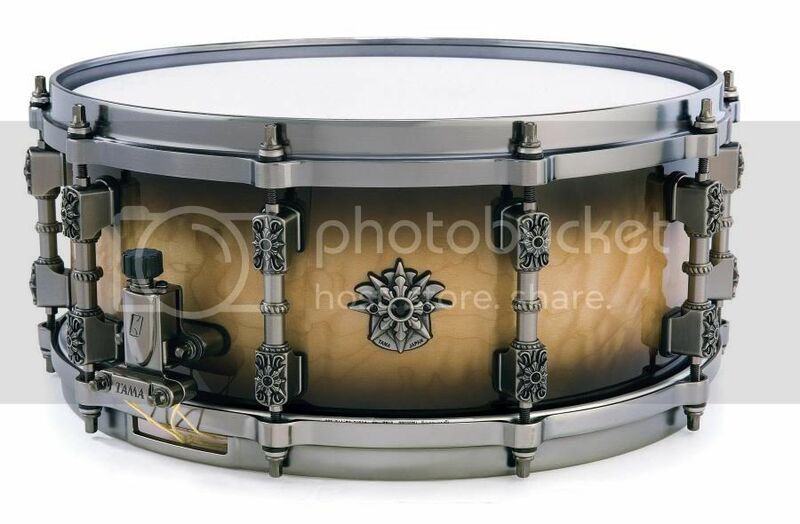 Ronn Dunnett creates great snare drums, especially the titanium-shelled models. Kakaiba rin ang mga concepts and philosophies niya. Maganda rin ang Pork Pie and Noble & Cooley. Those are great American custom-built drums. Dagdag nanaman ito sa snare drum wish list ko! why buy stock snares when this is on the market? Naalala ko yung Zildjian/Noble&Cooley snare drum... May nagmamay-ari ba ng ganun dito sa Pinas? ano kaya ang pinakamahal na drums or snare drum? ung hinde vintage tpos in the market parin? cymbals narin! does anyone know? exotic die cast hoops tsaka may diamonds pa, san ka pa?! question lang po mejo OT..
Where and How much is the die cast hoops??? not quite sure of the price pero nasa $1500-$2500 ata. presyo na yun ng isang buong pearl masters na kit!!! dapat pumalakpak tenga ng tao sa ganda ng tunog nyan ha. hehehehe. seriously, grabe na ang mahal nyan. alam ko may mas mahal pa jan kaya ang masasabi ko na lang ay "da mn!" Ano po bang mga snares ang versatile? Wag po sana yung mga signature artists ha mga nasa 4k lang budget ko eh. . . Gusto ko sana itry yung picollo eh. Ano po bang brand ang maganda and san makakabili? Wala kasi ko nakitang binebenta sa audiophile at JB na nag bebenta ng individual snares or picolo. Thanks! 4k...hirap kc maghanap pag ng good snare. kung di ka makapagipon try mo ung mga 2nd hand. picolo?hmm i think hindi eh, opinion ko lng. pano i loosen ung snares? Bad Behavior has blocked 75068 access attempts in the last 7 days.